Welcome to Green Valley Ranch Golf Club, Denver's premiere golf facility. We are conveniently located between downtown Denver and Denver International Airport (DIA). Green Valley Ranch Golf Club is home to our award-winning 18-hole Championship course, the popular 9-hole par-3 course, and the finest full range practice facility in Colorado. We are the home of the Colorado Opens, and also host the First Tee of Green Valley Ranch. Our Green Valley Ranch Bar and Grill has been voted one of Colorado's best 19th holes. Our friendly and professional staff makes every guest feel like a member. Our guests love the views of the Rocky Mountain front range while playing the great game of golf at GVR - whether playing as a friendly foursome, or part of a group event, you can be assured your GVR golf experience will be a remarkable and memorable experience. Please call 303-371-3131 for current rates. Call 303-371-3131 for rates and tee times. Contact Green Valley Ranch Golf Club at 303-371-3131 for more information and details on holding a golf outing at the course. The state-of-the-art practice facility at Green Valley Ranch Golf Club is a great place, nestled along the Rocky Mountains, to take lessons with Bird Golf Academy. This 18 hole championship course and 9-hole par-3 course was designed by the famous golf course architect, Perry Dye, and has earned a 4-star review by Golf Digest. Training with Bird Golf Academy at Green Valley Ranch Golf Club ensures you secure individualized teaching from a PGA professional, unrestricted course practice and play, player reviews, "clear key" analysis, and charming lodgings at the nearby Hyatt Place. 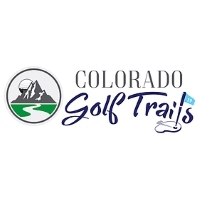 Bird Golf Academy at Green Valley Ranch Golf Club is situated at 4900 Himalaya Rd, Denver, CO, and is only 15 minutes from the Denver International airport. Contact Green Valley Ranch Golf Club at 303-371-3131. Contact Green Valley Ranch Golf Club at 303-371-3131 for onsite or nearby dining options. This profile was last updated on 01/13/2016 and has been viewed 5,508 times.